The Bangkok riverside is home to established hotel haunts serving incredibly refined meals. In recent years, the historic Charoenkrung Road has also welcomed a slew of fun, casual yet creative restaurants. 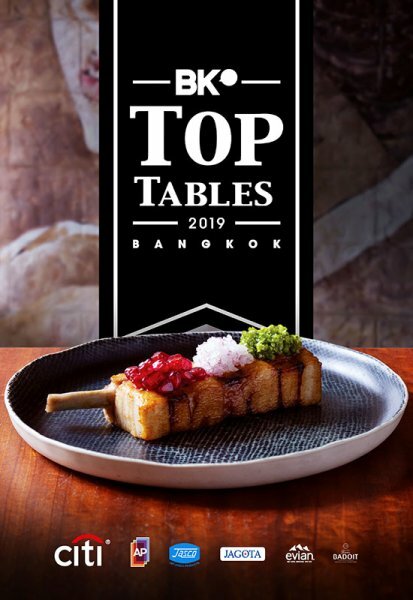 Here are our top neighborhood picks based on BK's annual Top Tables guide to Bangkok’s 100 best restaurants. (Chinese) Worshippers at the altar of traditional Cantonese cuisine flock here for Hong Kong chef Yeung Koon Yat (of the once-Michelin-starred Forum Restaurant) and his abalone dishes. It is just as prized for its way with dim sum, which draws Bangkok’s oldest Thai families in droves. (Chinese) This beautiful 1930s Shanghai-inspired restaurant stands out with its stylishly romantic vibe. Reminiscent of a scene out of Wong Kar Wai’s In the Mood for Love, the dining room is all about dark hidden spaces accented by bold splashes of color, but it’s the dim sum, Peking duck and nouveau-Chinois specialties that keep the customers coming back. (Japanese) Nestled deep down a residential Charoenkrung soi, far removed from the Japanese hotbed that is Sukhumvit, this sleek izakaya is providing the fuel for many a big night out. To go with the plentiful sake, shochu and umeshu, chef Chet Adkins deals in Japanese-style grilled skewers that showcase both excellent produce and expert preparation. (French) The original home of Bangkok French fine dining (open for business since 1958) has soared back into every top-tier foodie conversation under chef Arnaud Dunand-Sauthier. Every great chef needs a dish that defines them. Dunand-Sauthier's signature: his Oscietra caviar with sea urchin and potato, an elegant soup of rich and salty seafood indulgence. Other courses are equally as subtle, graceful and driven by the best produce at hand. Choose between a tasting menu or concise a la carte of contemporary but unabashedly French courses. Whatever way you go, flawless consistency is guaranteed—as is demanded by the clientele of high-rolling Le Normandie regulars. (Chinese) If there was ever a perfect setting for a family celebration, this hotel riverside spot long a favorite of Cantonese food aficionados would be it. Perfectly executed plates of dim sum, lobster dumplings and deepfried crab claws are must-orders, while floor-to-ceiling bay windows lend views of the riverside garden. For Citi ULTIMA: Get 50% discount for 2 diners | Get 33% discount for 3 diners | Get 25% discount for 4 diners | Get 20% discount for 5 diners | Get 15% discount for 6 diners or more. (Thai) The longtime go-to for Thais with out-of-town guests, this jewel-like pavilion on the river is a showcase for not only some of the city’s best Thai cooks, but the country’s best classical Thai performers. Expect multi-course “royal Thai” set menus meant to echo the pageantry of the surroundings. Authentic Thai Lunch Buffet: THB 950 net /person or THB 650 net /person for childern on Mon-Fri THB 1,150 net /person or THB 800 net /person for children on Sat-Sun. (Chinese) Head chef Chow Wai Man started out 40 years ago at the Shangri-La Academy in Hong Kong. 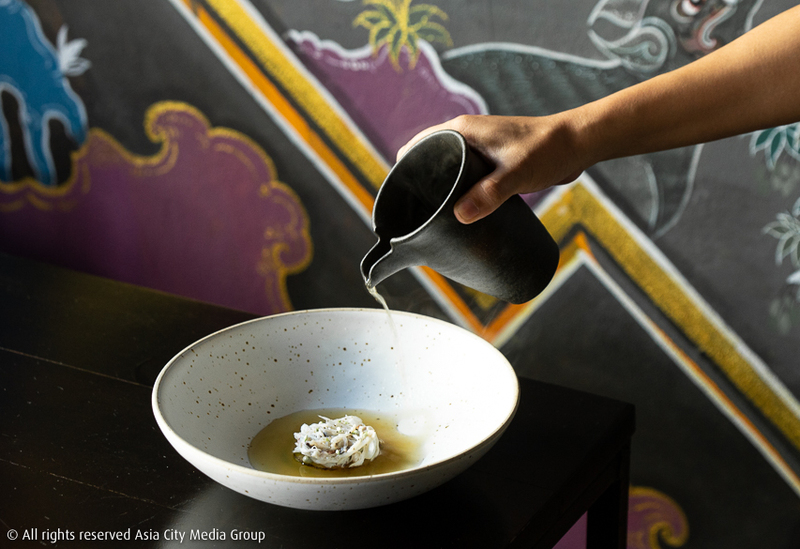 Specialties in Bangkok include “Buddha Jumps over the Wall” soup, which features dried scallop, abalone, shiitake and sea cucumber, and baked lobster with his special stock. Don’t miss the humble braised Chinese spinach topped with salted egg and century egg.